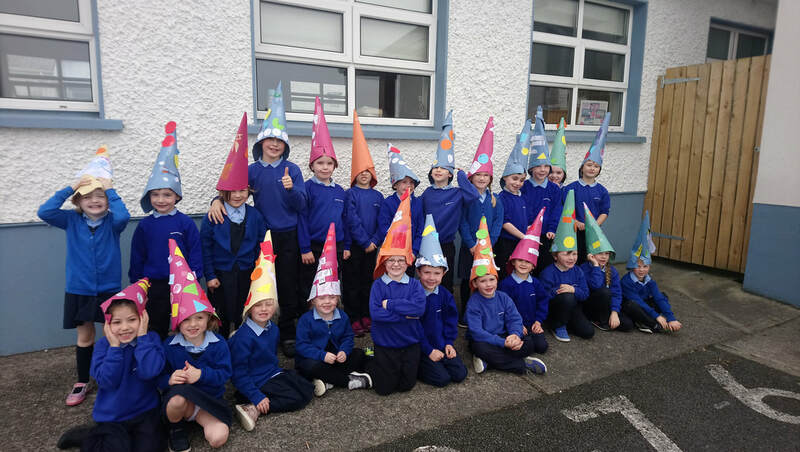 Junior Infants, Senior Infants and First Class wearing 'maths hats' during Maths Week in October 2018. Multiplication can sometimes be tricky. Use this website to practice your tables.